Think about the last time that you read something (whoa, how cool is that, you’re reading something right now! ), and think about how valuable that skill is. Without it you wouldn’t be able to keep up with the news, do your job or even send a text message. Now consider that most people aren’t what we call “health literate”. Health costs have risen. That’s pretty obvious. 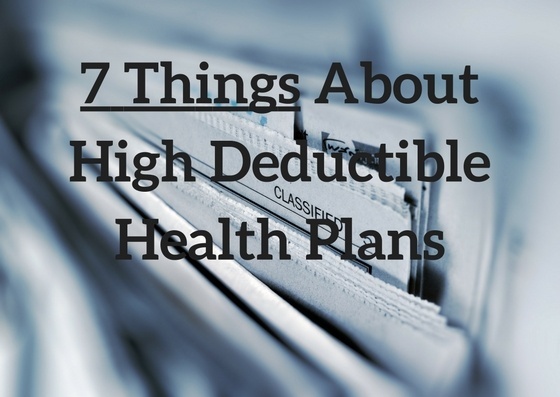 And if you’re reading this article you’re probably wondering if a high deductible health plan is something that you should consider. Maybe it’s because your health plan just became more expensive, maybe your costs are actually pretty low but you want to save some extra cash. Regardless of why you’re considering a HDHP, there are a few things that you may not have considered yet. Is Competition in Healthcare Good? Believe it or not, one of the most common questions that I get is about competition in the industry. While it seems like a pretty basic question, it really isn’t. But before we get into that, let’s address the elephant in the room. Yes I mean the idea that its “un-American” or socialist to simply consider competition as being anything other than divine. The fact of the matter is our current system isn’t a perfectly competitive market, and its actually built on a load of regulations and rules dictated by the government. What we’re left with is a series of complex industries that are trying to compete within the given set of rules. This doesn’t always equate to providing the best result for the consumer. HSA vs. Hra – Which one is best for you? Most companies offer some sort of (tax exempt) cash plan to help employees pay their medical bills. Not surprisingly, one of the most common issues that employers face is whether to use an HSA (health savings account) or an HRA (health reimbursement arrangement). Common logic says that HSA’s are better bet for employees, right? You would be right. Except that this isn’t common logic, this is health insurance, where there is always more than meets the eye. A lot like a magic show, except kind of boring.